Could a Computer Glitch Have Brought Down Air France 447? On Wednesday, TIME revisited an October 2008 incident in which a Qantas Airbus 330  the same model as AF447  unexpectedly went into a brief yet harrowing 20-second nosedive, causing multiple injuries and requiring an emergency landing. The investigation that followed blamed an ADIRU failure for the 330's uncommanded dive: one of the plane's three ADIRUs, which are designed to help the plane's flight-control computer fly the plane safely, began sending erroneous data spikes to the flight-control computer. Instead of deferring to the information of the two functioning ADIRUs as it normally should, the computer acted on the false data and sharply altered the plane's course, with near disastrous results. It was later learned that the same plane had experienced a similar occurrence in September 2006, as had three other flights. All those planes carried the same brand and model of ADIRU, as do more than one-third of the 330s and 340s in the Airbus fleet. So if this model of ADIRU has a history of failure, why does Airbus continue to fit them in its 330s and 340s? As for the Qantas 330s and the rest of the Airbus 330 fleet, Dubon says they will continue to fly with their same ADIRUs until directed otherwise by investigative authorities. "The [Qantas] investigation is still ongoing, and we're still involved in giving technical assistance to that, but no final recommendations have been made," he says. "And obviously, when the investigators do, then we will act on those." But even if there are recommendations to be made, it's unlikely they will come anytime soon. According to an aviation source close to the Australian investigation, Qantas remains perplexed by the phenomenon, finding that since October 2008 that particular A330 has never suffered a repeat ADIRU failure, even when flying the same routes under similar conditions. "So it's something they need to get to the bottom of," says the industry insider, who requested anonymity. "Because it's so unpredictable  it happens one time, and then never happens again  they're still trying to work out what it is." The Airbus 330 is not the only model to suffer ADIRU failures. An Airworthiness Directive issued by the U.S. Federal Aviation Administration last year warned airlines of instances of failure in ADIRUs aboard Airbus 319, 320 and 321 models that "could result in loss of one source of critical altitude and airspeed data and reduce the ability of the flight crew to control the airplane." Dubon says these issues are "totally unrelated ... Our safety people have informed me that is not relevant to either the Qantas case or the Air France case." 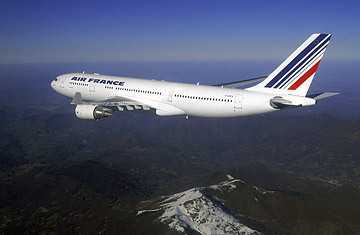 But some people have firsthand experience of ADIRU failures on Air France flights: Air France pilots. Julien Gourguechon, International Secretary General of the French Pilots Union (SNPL) and an Air France pilot of 10 years, says ADIRU failures are not foreign to him, his colleagues or other French pilots flying for other companies and the military. "For sure there are pilots from SNPL who have experienced ADIRU problems," he says. But, he adds, this is "very rare ... You don't have more fly-by-wire technical failure with them than you do with hydraulic, mechanic or engine failure." As for Flight 447, even if the plane's ADIRU did malfunction, an electrical short circuit or other problem may actually be to blame, he says. "The ADIRU is fed by a lot of sources, and the failure of one of these sources could lead to an ADIRU failure." For now, Gourguechon finds the endless speculating exhausting. "Initially we were talking about electrical failure, yesterday we were talking about icing conditions, tomorrow we will talk about something else," he says. "ADIRU failure is as credible as very bad weather, hail, an electrical failure. I would not give priority to one scenario." But until investigators figure out what happened  if they ever do  Gourguechon says there's little chance we'll be able to escape the realm of the hypothetical. "The biggest fear for us is that if we don't find the [flight] recorders, then all the analysis, even made by experts and professionals with all the time they need, runs the risk of being very incomplete and based on a lot of interpretation."